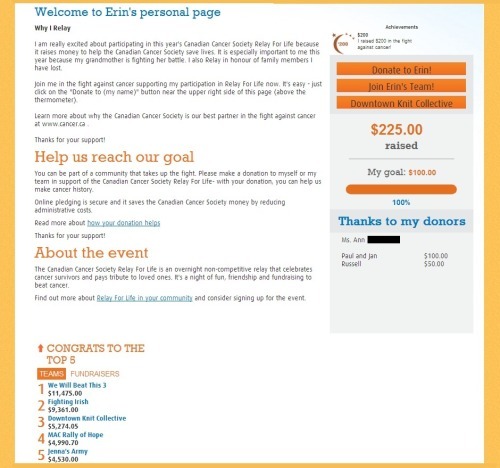 Friday night into Saturday morning was the Canadian Cancer Society’s Toronto-Central Relay for Life in support of Sunnybrook Hospital’s Odette Cancer Centre. In a typical relay you walk around the track all night from 7pm to 7am. 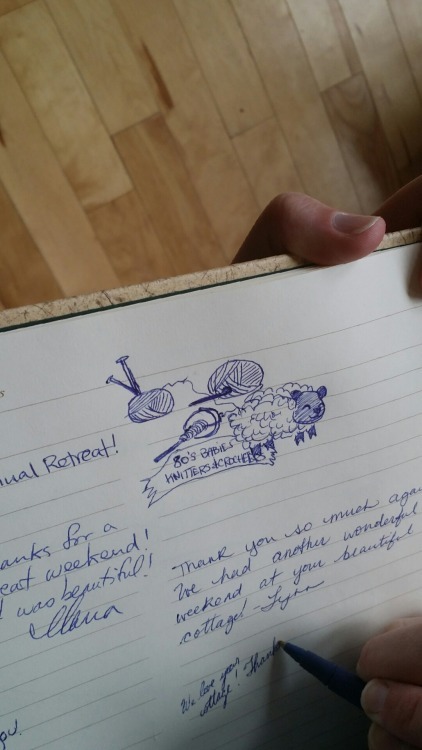 Now, 12 hours is a LOT, so that’s why you register in teams, so that you can spell each other off, hence “relay.” Our team, however, has special dispensation to knit all night instead. Though the reason for the event is serious and sobering, which is at times brought home by things like the Luminary ceremony, ultimately it is a fun night of camaraderie and hope. That and lots of sugar and coffee to help you stay awake. There were also activities you could do on your breaks, including SUMO WRESTLING (yes, again. 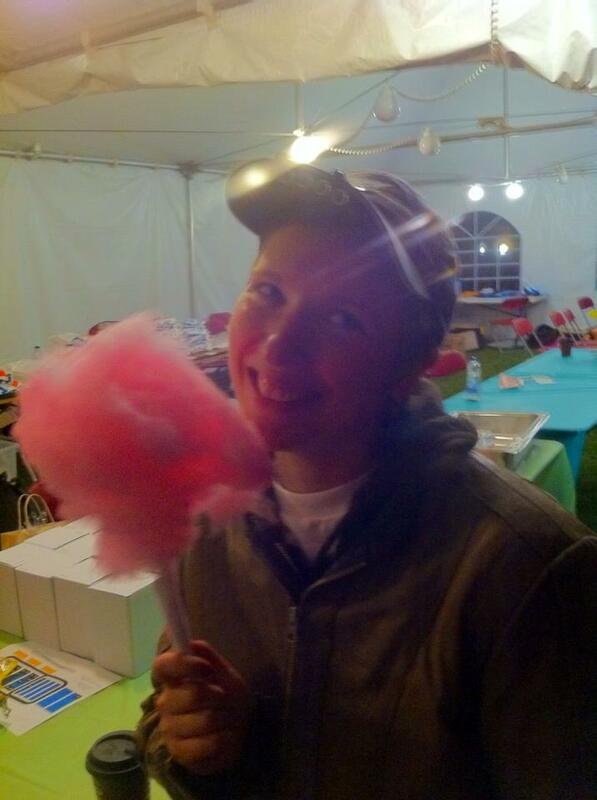 I don’t care it’s super fun) and these gigantic inflatable bouncy pony things that became the best thing ever at 3am. 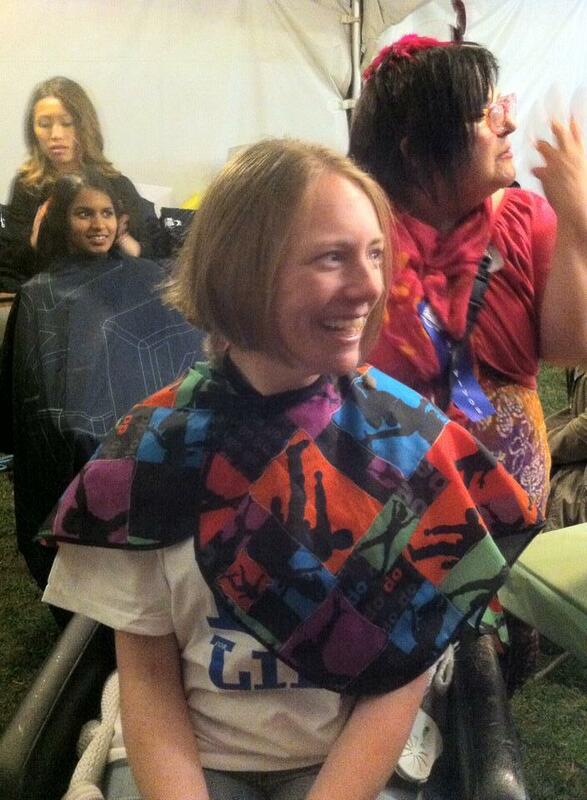 CanadianChia even cut off her hair to donate to Locks of Love. 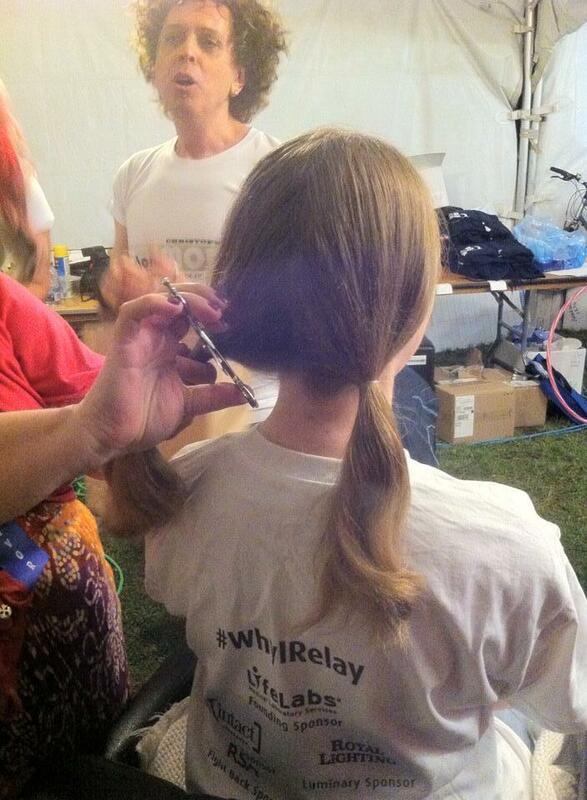 And instead of just sending donors on their way, volunteer professional stylists styled your new cropped ‘do for free! 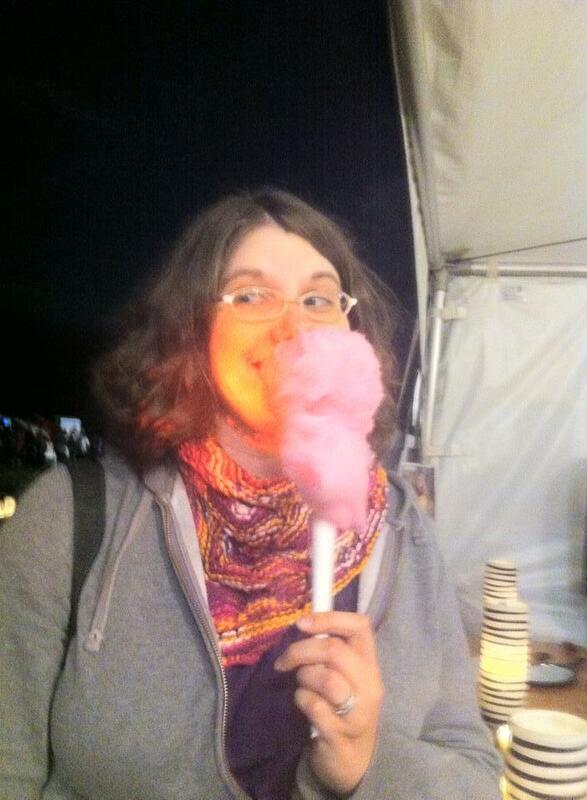 New this year was a Night Market. 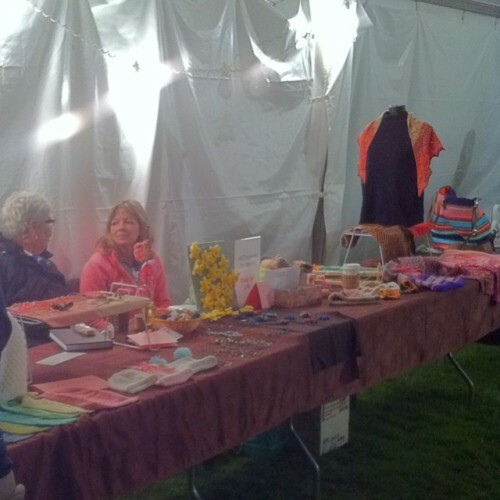 Naturally, we knitters had some wares for sale. Flowers by the lovely Ilana. 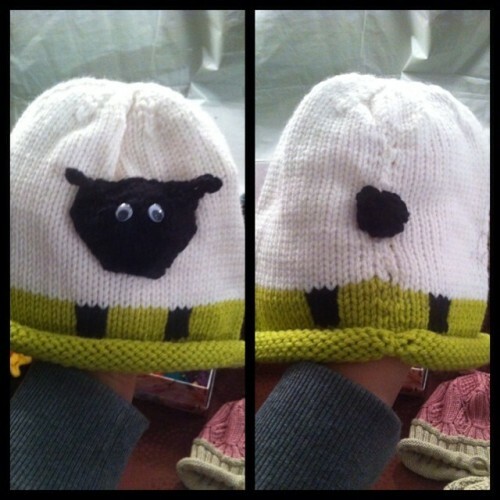 The cuteness of this hat just kills me. 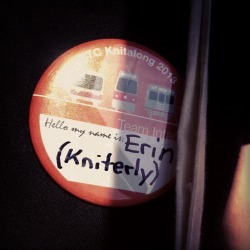 Once again I’m participating in the Relay for Life on the Downtown Knit Collective‘s team. 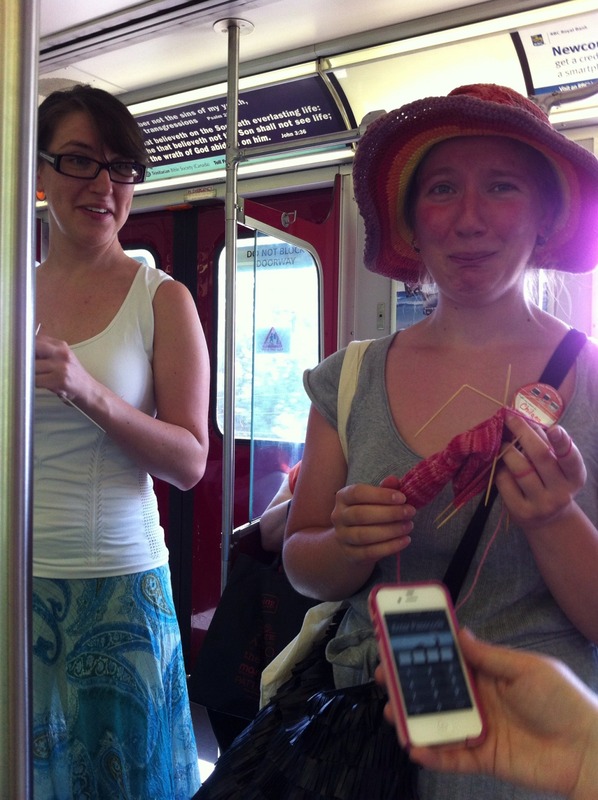 This year also marks 10 years of the Downtown Knit Collective relay team. 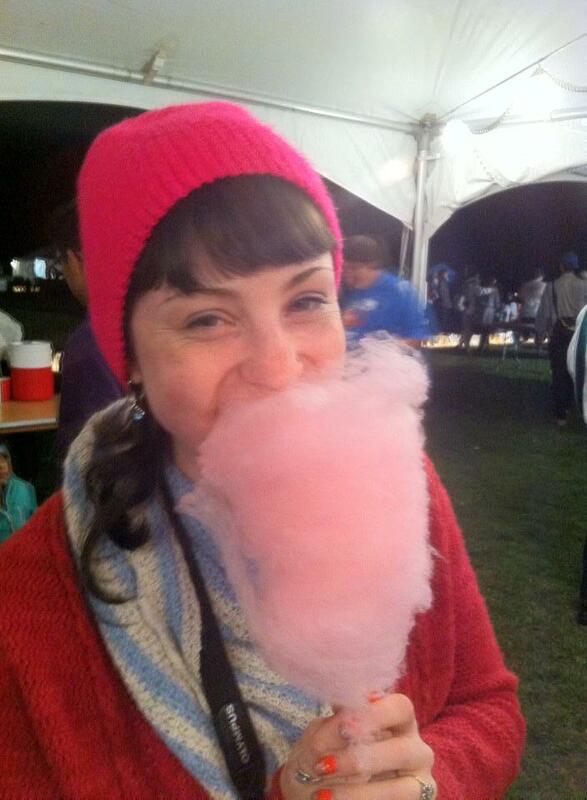 To celebrate we will be hosting a Fibre Arts Activity Area at our Team Site at the Relay. 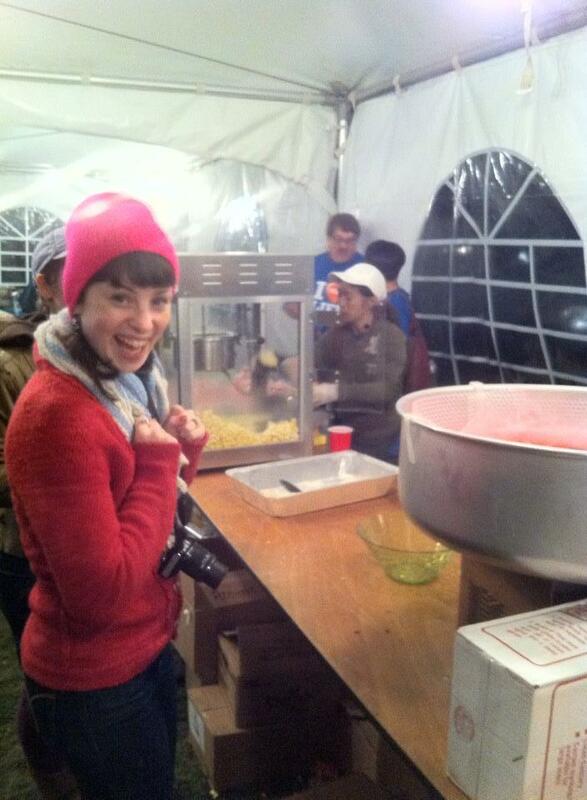 As you may remember, in order to help the relayers stay up all night there are various activity areas. In 2012 canadianchia and I got to wrestle in sumo suits (pics here). 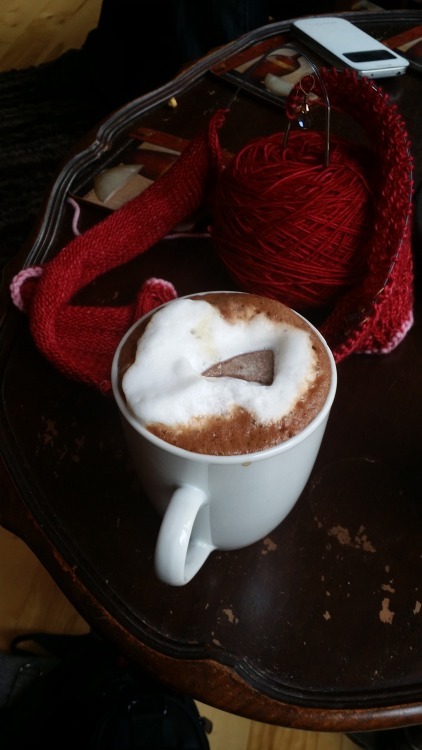 We are thinking of using our activity area to teach other relayers things like arm knitting and finger knitting, making a pompom, corking/spooling, knitting on a giant scarf, crochet, making a flower, demos of spinning on a wheel and needle felting. 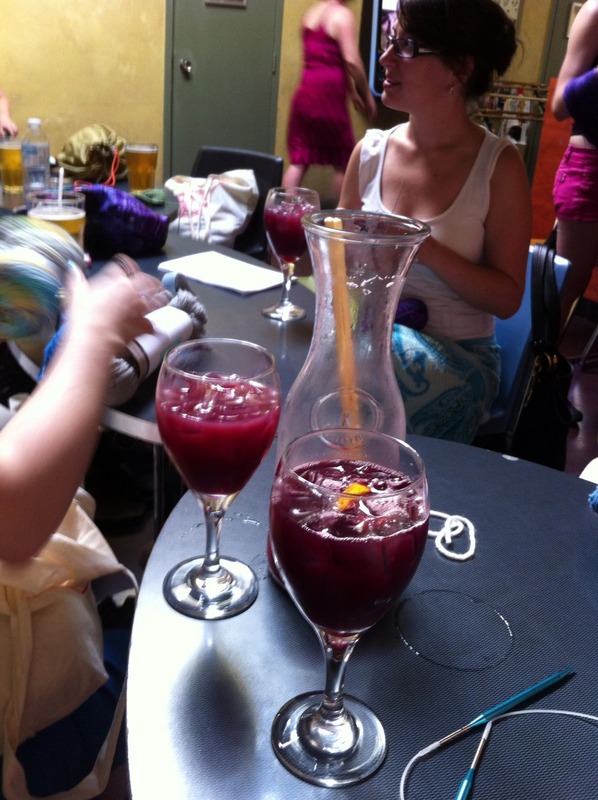 There is also going to be a marketplace this year and we have been offered a table. 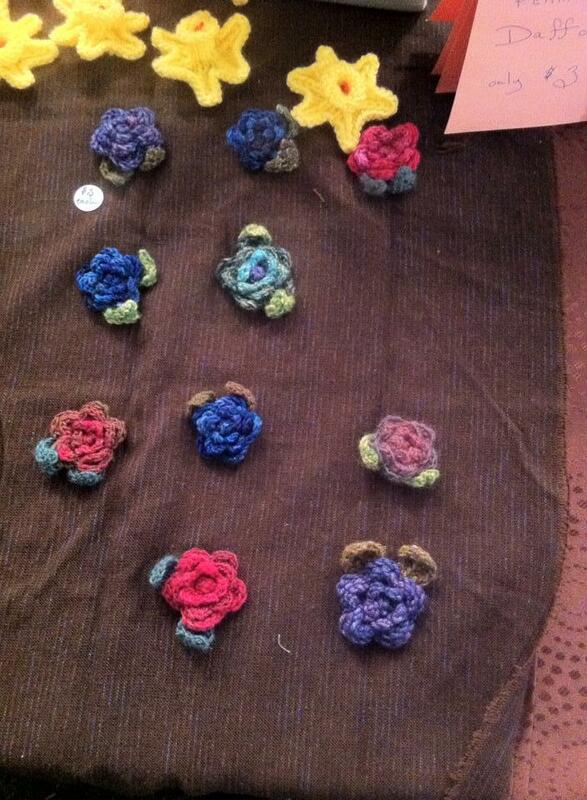 We will be selling small items in the range of about $1 to $5, such as hand-knitted cancer ribbons. 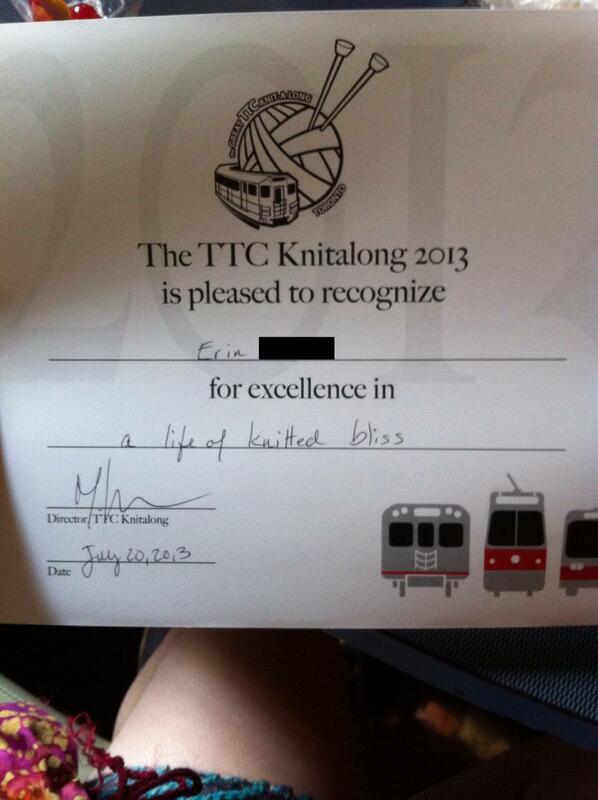 The annual TTC Knitalong was this past Saturday. 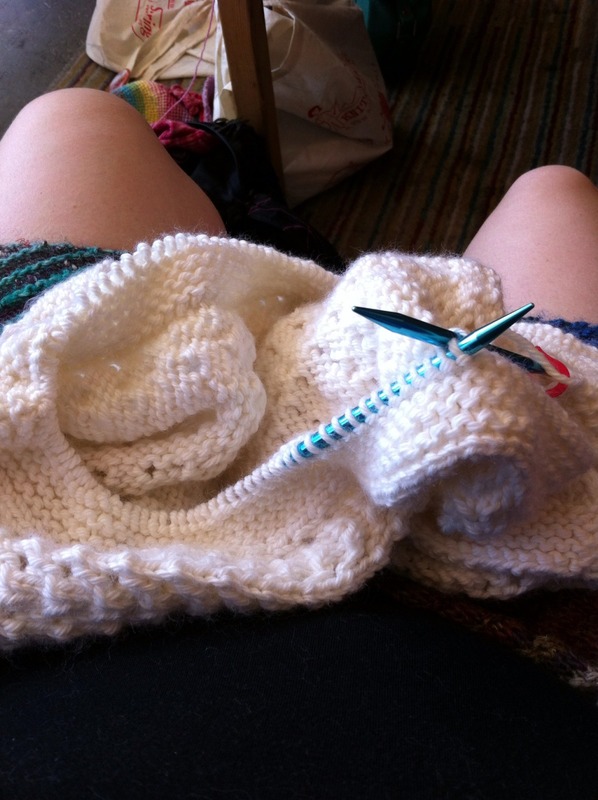 I was on Team Intarsia (a.k.a. the best team). 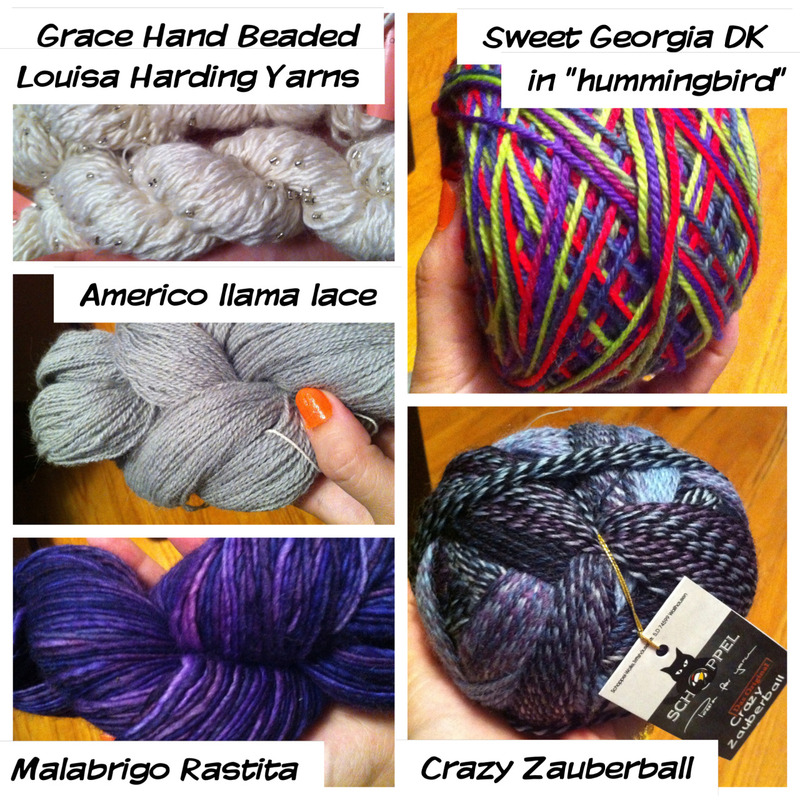 Team Intarsia started at Creative Yarns in Scarborough, which had a great sale and the Zauberball I’ve been coveting, so I did a lot of my shopping there (the Malabrigo and the Louisa Harding below were both from there too). 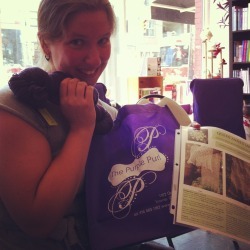 After that it was a long bus and subway ride to The Purple Purl. 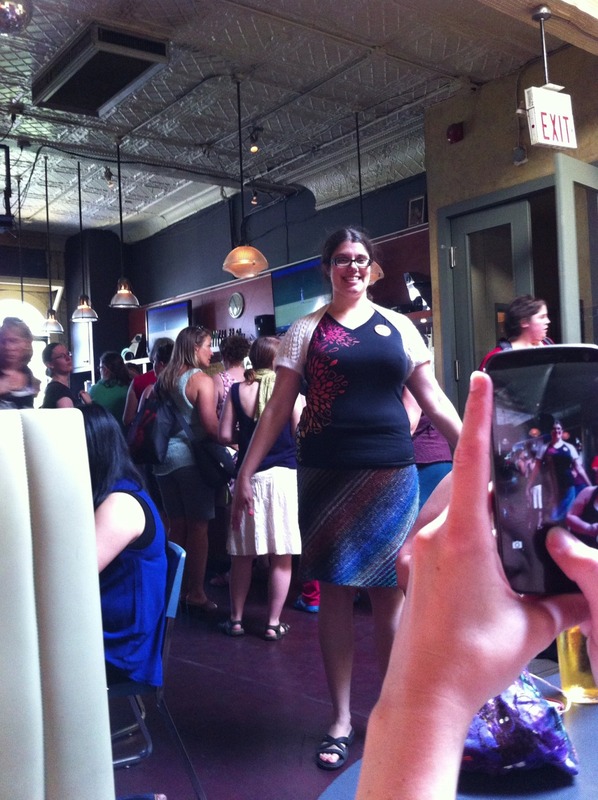 My friend Ilana broke a DPN en route! But she bought new ones when we got to the Purl, where is where I got the Sweet Georgia DK. 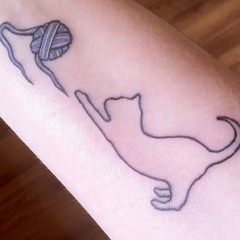 I normally don’t do crazy colours, but the skein was just so vibrant I couldn’t say no. It was calling to me. You know how it is. 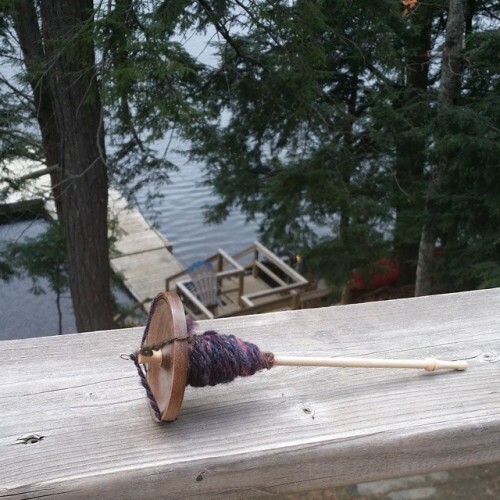 Ilana’s DPN troubles were soothed when she won the Purple Purl’s draw for their limited edition Indigodragonfly colourway and a pattern. 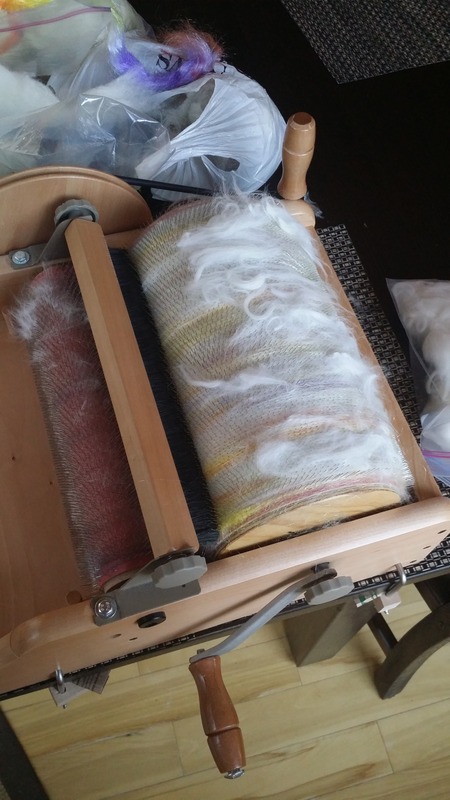 Then it was on to Romni Wools. 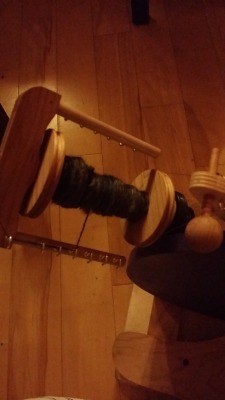 I bought a spindle there that is hopefully better quality than the current homemade one I have. It’s Ashford, so it should be. 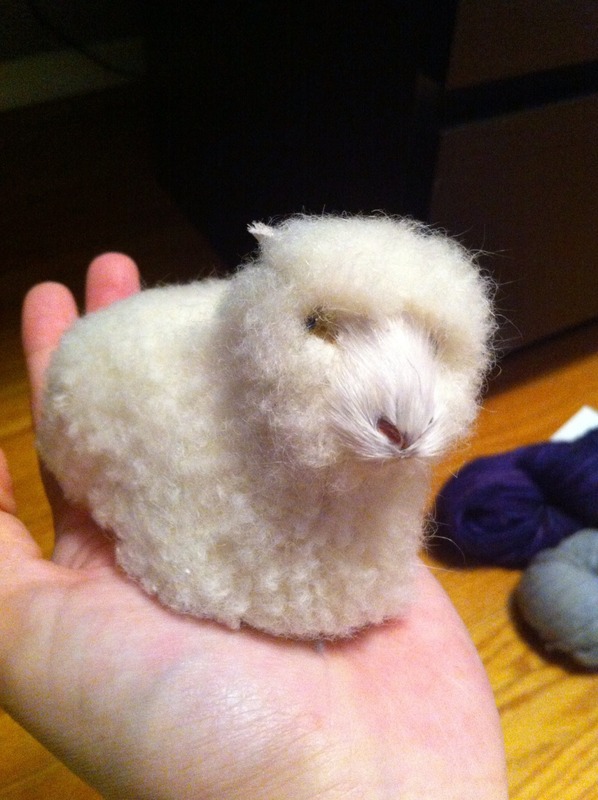 Romni was also giving away free needles and this little adorable guy, who now resides in my craft room. 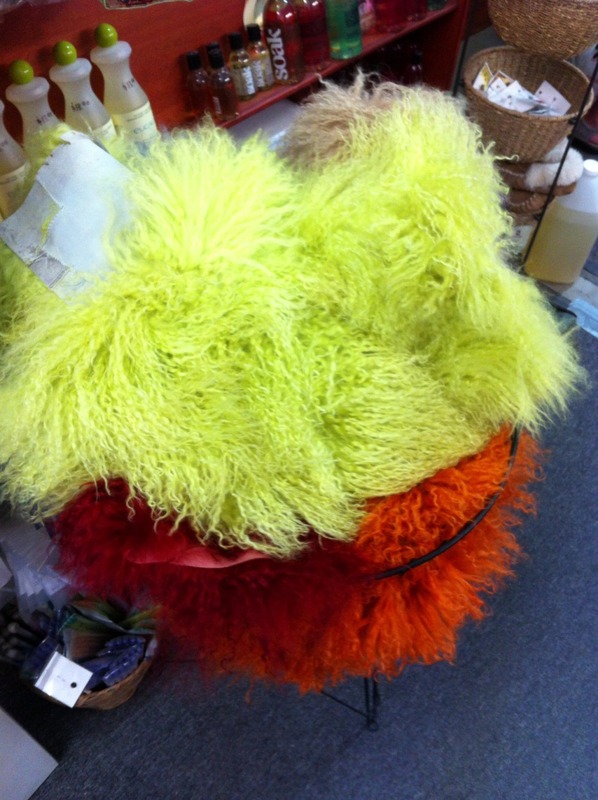 We discovered that Romni also apparently sells the stuff you’d need to make muppets. 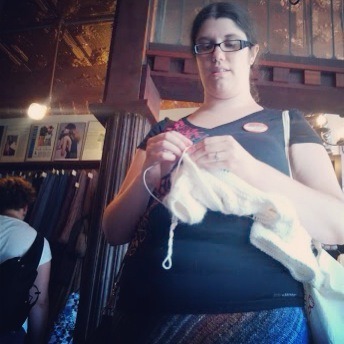 Then it was on to Americo Original, where everyone got a free skein of lace weight 100% llama for FREE. I was nearly done binding off at this point. I walked down the street like this too. 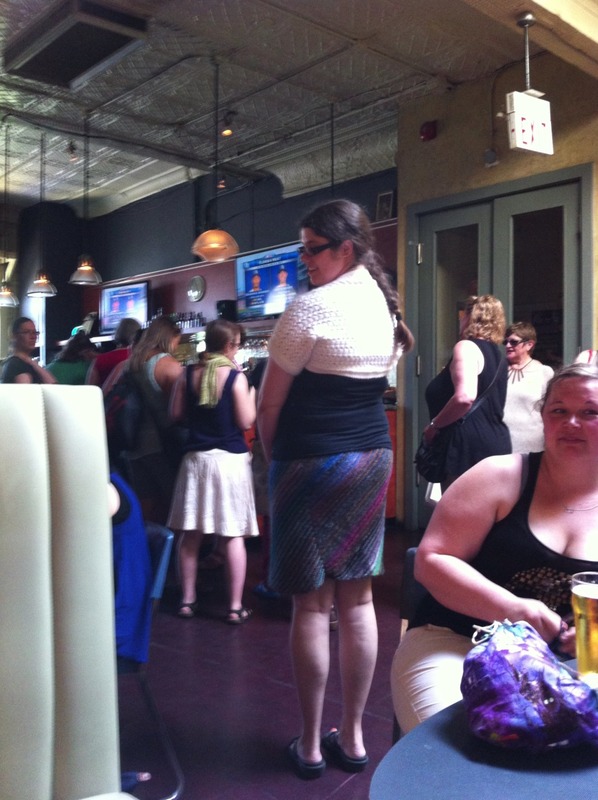 Really weirded out some of the uninitiated, lol. At the Rivoli I finally finished the shrug. AND I got the following certificate, after my team leaders nominated me <3! The lovely Glenna C. was one of them. She has some great photos of the day (and of the most awesome team, if I do say so) on her blog here.